Well! At 2:18 the morning before we’re leaving we got the Fiat all bolted up and coolant bled. Citroen all sorted too. Sadly the Midget didn’t make it. Passed it’s MoT fine, but on the way up to ours to start the trip it started spluttering and wouldn’t run. Went to rescue it with the trailer, traced down the problem to intermittent spark caused by something in the distributor (spark plug in the ignition coil lead works fine but in a plug lead is intermittent). Fiddled around a bit to no avail. 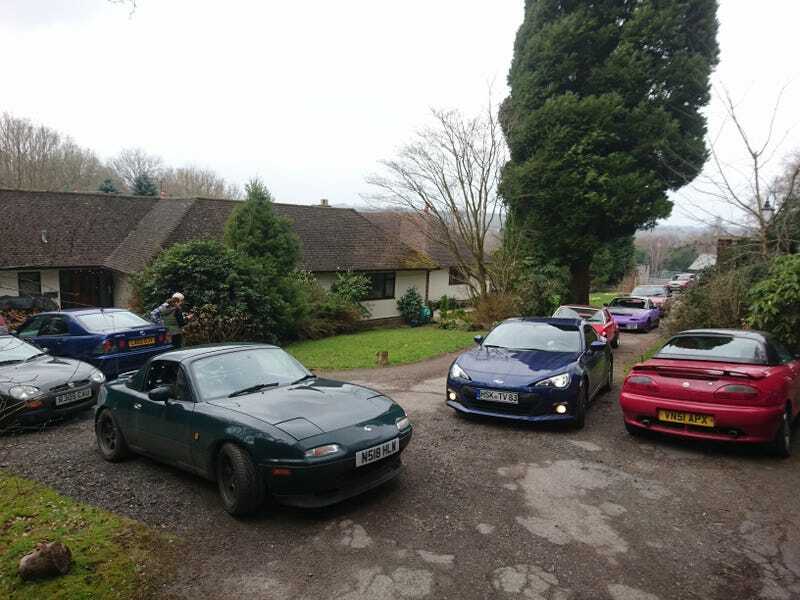 Got halfway through fitting a Lumenition kit I had lying around but ran out of time :( so my mate’s borrowing my MGF instead.